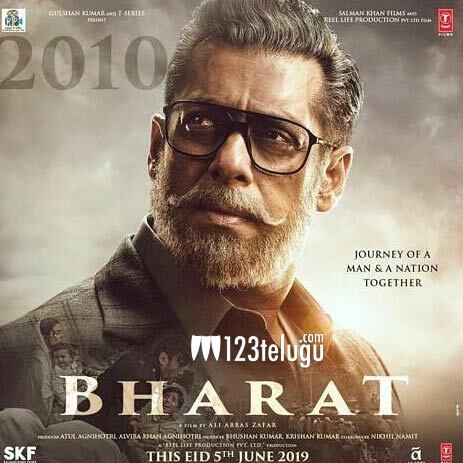 Salman Khan is ready with his new film Bharat which is being directed by Abbas Ali Zafar. The first look of the film was out today and Salman surprised everyone in his aged look. The poster showcased Salman in an old avatar and this gives a hint that the superstar will be showcased in different age groups in this film which is a patriotic action entertainer related to Pakistan. Katrina Kaif and Disha Patani play lead females in this film which Salman himself produces.